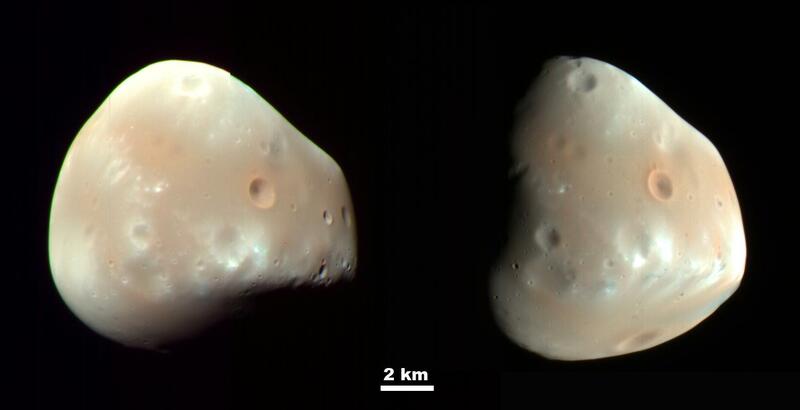 Explanation: Mars has two tiny moons, Phobos and Deimos. 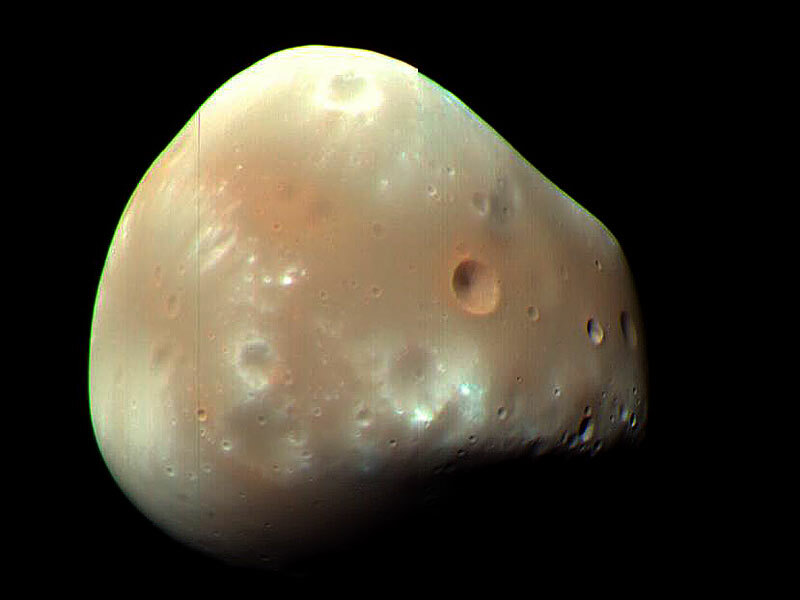 Pictured above, in a recently release image by HiRISE camera onboard the Mars-orbiting Mars Reconnaissance Orbiter (MRO), is Deimos, the smaller moon of Mars. Deimos is one of the smallest known moons in the Solar System measuring only about 15 kilometers across. The diminutive Martian moon was discovered in 1877 by Asaph Hall, an American astronomer working at the US Naval Observatory in Washington D.C. The existence of two Martian moons was predicted around 1610 by Johannes Kepler, the astronomer who derived the laws of planetary motion. In this case, Kepler's prediction was not based on scientific principles, but his writings and ideas were so influential that the two Martian moons are discussed in works of fiction such as Jonathan Swift's Gulliver's Travels, written in 1726, over 150 years before their actual discovery.